Today was partly cloudy and some light breeze was blowing from the west. 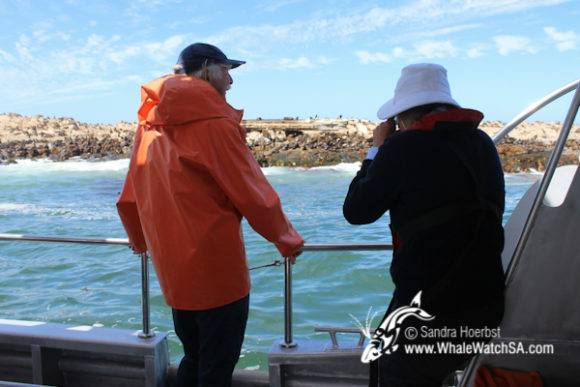 After launching from the harbour we were heading straight towards Danger Point and further into deeper water where we spotted two Bryde’s whales. The mother and her calf were surfacing a few times around our vessel before we were slowly moving off to Dyer Island. 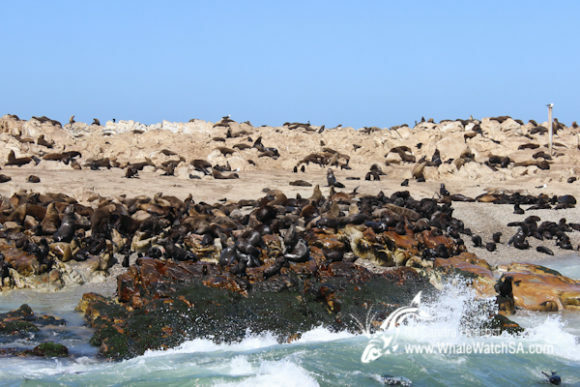 Arrived at the islands we made closer pass at Geyser Rock to see the Cape Fur seals, which crossed our way earlier as well. 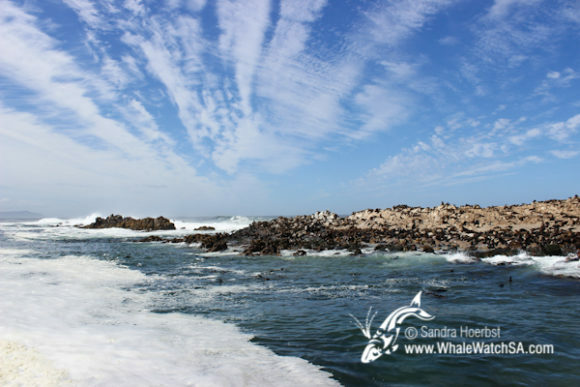 We also spotted some African penguins on the way, how lucky. 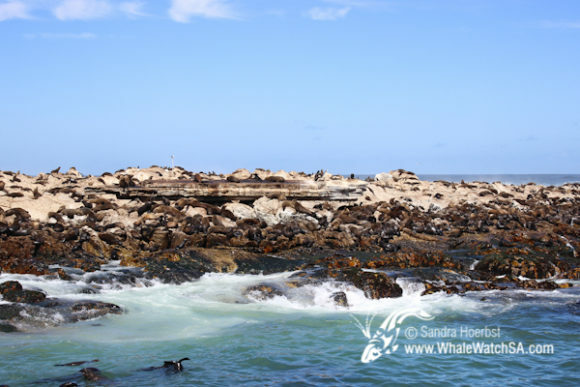 Unfortunatly we had to make our way back to the harbour, so we slowly cruised along the stunning South African coast.